Today in Masonic History Julius Ochs Adler passes away in 1955. Julius Ochs Adler was an American soldier. Adler was born in Chattanooga, Tennessee on December 3rd, 1892. He graduated from Princeton University in 1914. After graduating from Princeton, Adler went to work for The New York Times. After returning from the war in 1919, Adler returned to The New York Times. In 1935 he replaced his uncle as the General Manager of the paper when his uncle passed away. He would remain the remain the General Manager until the time of his passing. Adler continued in the Army Reserve and was steadily promoted over the years. In 1940, he was reactivated fro World War II. He was promoted to brigadier general in 1941. During World War II he served primarily during the New Guinea Campaign. Due to illness he was relieved from duty in 1944. 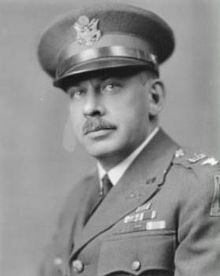 Adler would return to the Army Reserves and would be promoted to major general in 1948. Adler was also the president and publisher of The Chattanooga Times. Adler passed away on October 3rd, 1955. Adler was a member of Justice Lodge No. 753 in New York City, New York.